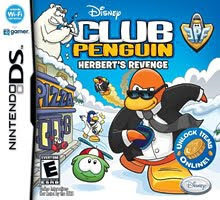 Note: Copy any of the above Penguin Force: Herbert's Revenge (USA) rom download links and paste it into your browser to download. does it work with no$gba? This only works with some cards and if you have original r4, try using wood firmware. It does work with that. I have R4 SDHC and it doesn't work at all. The Venon welcome message appears but as soon as I press any button it just went to black screen and hangs . What a waste of time Venon Thank you very much ! it works with no$gba but when I get to choosing the puffle by blowing into the mic it doesn't work , I have tried audacity etc with no luck ! !